Each fall we turn back the clocks giving us an extra hour of time. Did you know that science and medicine have turned back the clock on your life? Yes, a recent study, which takes into consideration population and increases in life expectancy, says that 60 is the new 40. According to Dr. Michael Roizen, chief medical wellness officer at the Cleveland Clinic, “Your chronologic age (that is, the number of birthdays you have) isn’t your biologic or what we call real age.” In effect, you are as young as you feel, and more and more of us are feeling much younger than ever before. For instance, a person born in 1900 had an average life expectancy of 48 years. Today it is not uncommon to live well past the age of 80. You now have 20 bonus years that people in previous generations did not. So what are you going to do with all that extra time? Enjoy it! There are plenty of ways for making the most of your bonus time in the Pittsburgh area. One of the keys to increasing our overall life expectancy has been to remain active. Once you hit your “golden years,” you will still want to keep moving. The Allegheny County Parks makes that easy and affordable. Golf permits allow residents 60 years and older to golf for the season with a nominal greens fee and discounted rate at restricted times. They also offer reduced-fee passes for ice skating and swimming, as well as free use of the parks system’s tennis courts. You can also tour the Hartwood Mansion and Stables at Hartwood Acres for a reduced fee. Check out your local municipality. 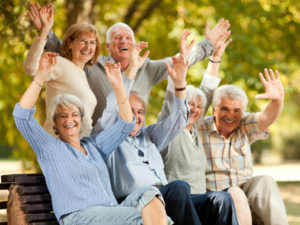 Many of them offer sports and recreation programs for seniors at reduced rates. The City of Pittsburgh, in addition to offering numerous recreation opportunities, operates and participates in the Senior Games. It also has recreation centers where you can explore programs like Tai Chi and yoga. Don’t forget about the YMCA or your local gym. You can stay active there often for a reduced fee and some participate in the SilverSneakers, a nationwide program that provides access to fitness facilities and classes. Perhaps you’re more the outdoors type. Venture Outdoors sponsors more than 500 public programs per year, everything from learning to fly fish, to hiking, biking and kayaking, and offers reduced memberships to seniors that enables them to enjoy discounts on adventures. You have plenty of opportunities in the Pittsburgh region for indulging your love of culture. The senior pass to The Carnegie is an outstanding bargain when you consider that for a small yearly fee, you can enjoy all of the Carnegie Museum of Art and Natural History, The Andy Warhol Museum, and the Carnegie Science Center. If you are a theater buff, The Pittsburgh Public Theater offers half-off tickets one hour before show time. Cinemas usually offer discounted tickets, and several places, such as the Kean Theatre on the campus of St. Barnabas Health System, offers free movies on Wednesdays at one o’clock. The Legacy Theater at Cumberland Woods Village also has free matinees on Mondays at 2 p.m.
Are you a history buff? Take advantage of the Heinz History Center & Western Pennsylvania Sports Museum discount, for folks at least 62 years old. The Fort Pitt Museum has a special rate for seniors. The same goes for Meadowcroft Rockshelter and Historic Village. Seniors also enjoy a discounted admission for Clayton, the home of industrialist Henry Clay Frick, and on Thursdays seniors can tour for $5, half off the regular senior admission for those 62 and older. The Mattress Factory Museum welcomes seniors 62 and older with reduced admission fee. There may be no “free lunch,” but there is a free ride on the Duquesne Incline for seniors 65 and older who have a valid Medicare card or Port Authority ID. Can’t get enough of those Potato Patch fries or rides on The Racer? Then a Kennywood Park Senior Pass is just the thing for fun that lasts all summer long. For $52.99, seniors enjoy unlimited visits to the park. Seniors also enjoy a $1 discount at the National Aviary. The same $1 off discount is available at Phipps Conservatory and the Pittsburgh Zoo & PPG Aquarium. 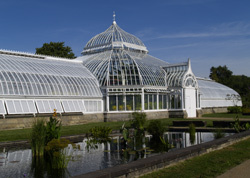 Seniors also receive $1 off at the new Pittsburgh Botanic Garden. You can save a buck of the regular price of $10 at Old Bedford Village and Old Economy Village for those 65 and older. With so many wonderful things to do, seniors in Pittsburgh will need those extra 20 years to fit in all the fun.